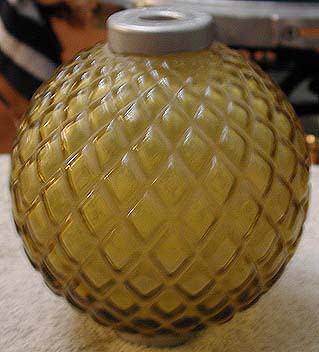 Here are some of the best antique LRB's (Lightning Rod Balls) seen on the Internet. If you have a top ball that you would like to brag about here, then please submit JPG picture and description to rlynch@antiquebottles.com. Also indicate whether you would like to publicize your name/Email as the owner of the LRB. 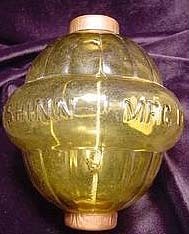 For more info, see Antique Lightning Rod Balls. 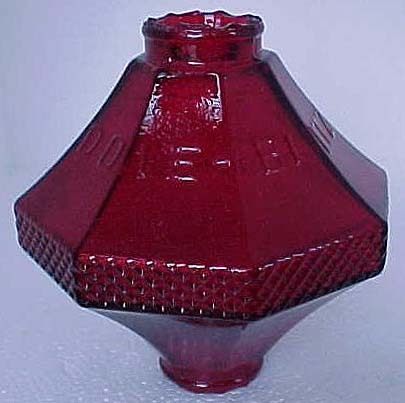 Sold brass lightning rod with ruby red ball marked GEO. E. THOMPSON LIGHTNING ROD CO. 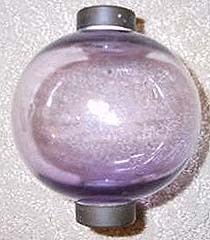 The Glass ball is light purple with some bubbles. The vane seems to have been guilded or gold leafed on both ends, as quite a bit is still visable. Overall length is about 28 inches. The tail is about 8 inches longest point and about 4 3/4 at the widest point. The arrow is about 5 inches long and 2 1/2 at the widest point. The ball is about 4 1/2 inches by 4 inches. 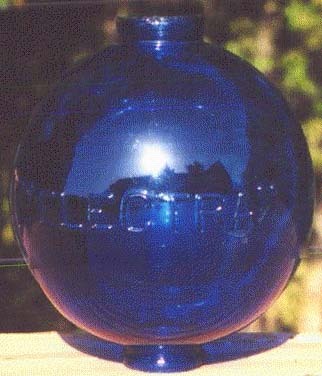 Cobalt blue ball embossed ELECTRA with lightning bolts. 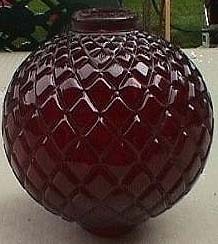 Ruby red ball by George Thompson, circa 1930. 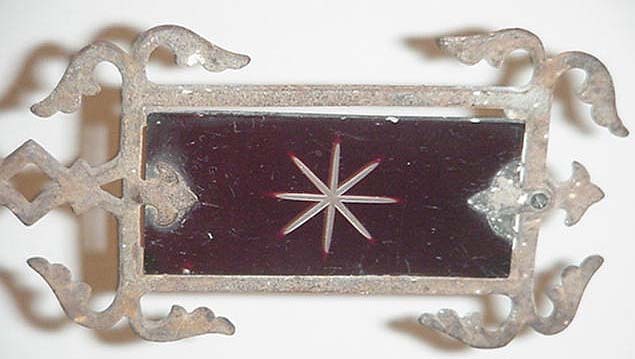 Complete weather vane with light blue blue, metal arrow, and red glass sunburst at other end. Geo. 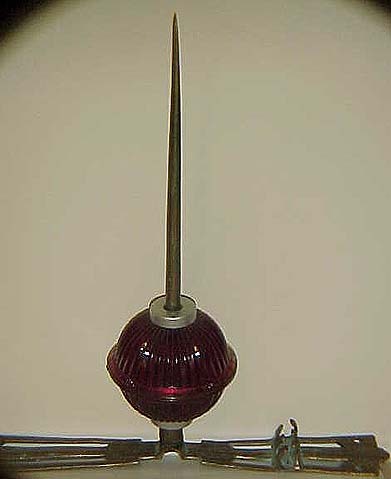 E. Thompson Lightning Co. of Minnesota, the most famous lightning rod co. in the world. The two metal end caps are stamped "GEO. E. Thompson Lightning Rod Company. Bright crimson red Diddie Blitzen Lightning Rod Ball. This is the brighter red old version with very strong embossing DIDDIE BLITZEN. Clear sun-colored amethyst glass smaller Lightning rod ball. Half way between collars around ball are lightly embossed words PAT.JULY 1878. 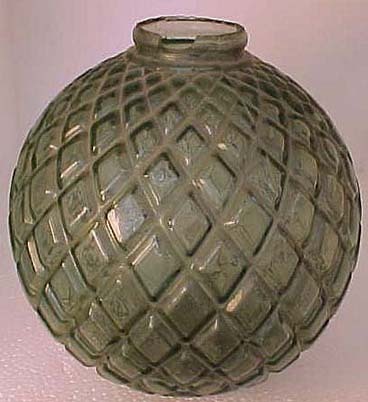 This ball measures 4" wide x 4 5/8" tall. This is a Canadian ball.